Explore Paterson from the other end of the Passaic. Join us for an afternoon of nature and natural history. 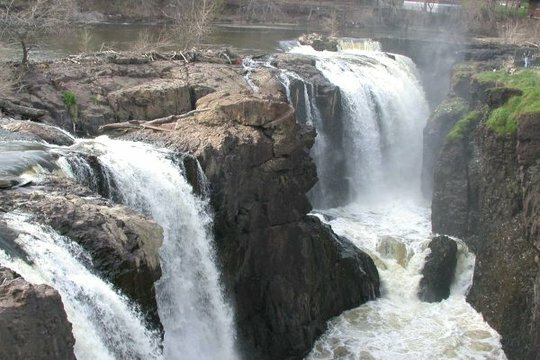 Ilyse Goldman, Interpreter at the Paterson Great Falls National Historical Park, will guide us on an informative hike through the area where will check out the new viewing platform to explore the 77-foot high waterfall. From there we’ll hike along the old raceway, and we’ll even squeeze in a museum visit. It’s a great opportunity to gain insight into the importance of Paterson, the first planned industrial city that was centered around the Great Falls, and how it changed the face of our country. We will meet at the Great Falls and go from there. Dress for the weather, hiking boots recommended for potentially muddy conditions. Registration is required.